When it comes to venue hire, Central London has hundreds of different event spaces available for conferences, dinners and special events. However help is at hand! We offer a completely free London venue finding service to help you find that perfect venue for your company Christmas party. With over 500 Central London event spaces listed, we have a fantastic team with unrivalled knowledge of all the best event spaces in London. Our team love nothing more than finding that perfect venue for you. 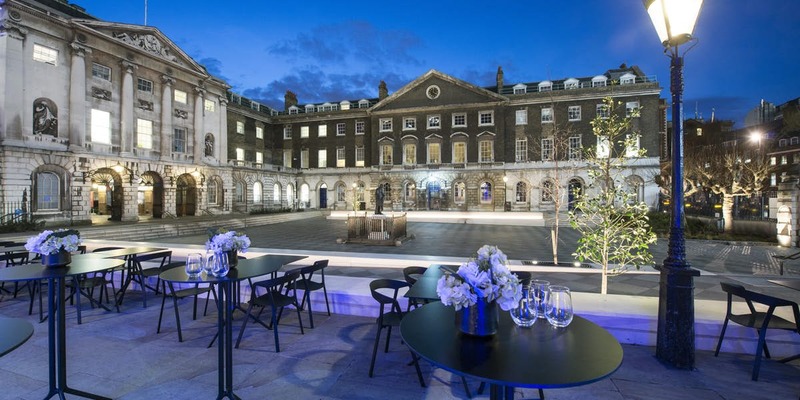 Whilst there are many venues outside the central area that offer great outside spaces for summer parties and events, many central London venues have beautiful gardens and stunning roof terraces with views over the city's skyline. When considering venue hire central London venues have greater accessibility via the public transport system over their leafy suburban cousins. Staging an event at a location that is within 20 minutes of all the main railway stations is a huge benefit to those commuters travelling in from out of town and getting home swiftly and safely after an evening party. Venues in Central London may charge more than others, but you will save money on taxis and time spent travelling to more remote locations. And some guests may be put off attending these venues if they think it will be difficult to travel to and from the event, which will reduce the impact and value that you might get when compared to central London venues. When it comes to finding the right conference or meeting venue, location is just as important and many of the best central London conference venues are located within five minutes walk of mainline railway or major tube stations. These include dedicated conference and meeting venues which offer great value and have all the Audio Visual facilities required to deliver presentations without additional production costs and special events venues where you can deliver high impact productions in some of the city's most iconic venues in Central London.